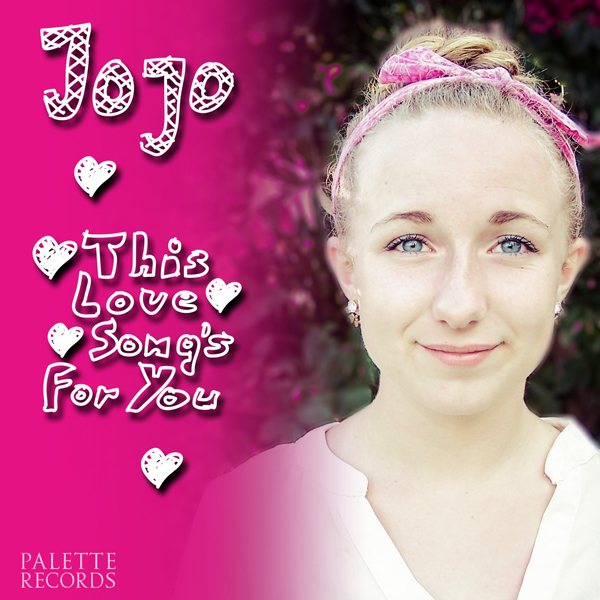 Debra Lyn and Jeff Silverman (founders of Palette Records) are SO proud to announce our new recording artist, JoJo! 🙂 Here’s a little background on how this extraordinary 16 year girl defied all odds and found her way to her first record deal, single & video release! 2 years ago, I got a call from a 13 year old girl by the name of JoJo. She asked me, “What does it take to be an artist and come and record in your studio?” I asked her if she wrote music or lyrics. She said a little, but was willing and able to give it her best shot! Debra and I identified with her drive and desire SO much, we helped JoJo write THIS LOVE SONGS FOR YOU! Even though JoJo put together 2 fundraising campaigns on her own and worked part time, she still couldn’t come up with the needed funds to finish the recording process. 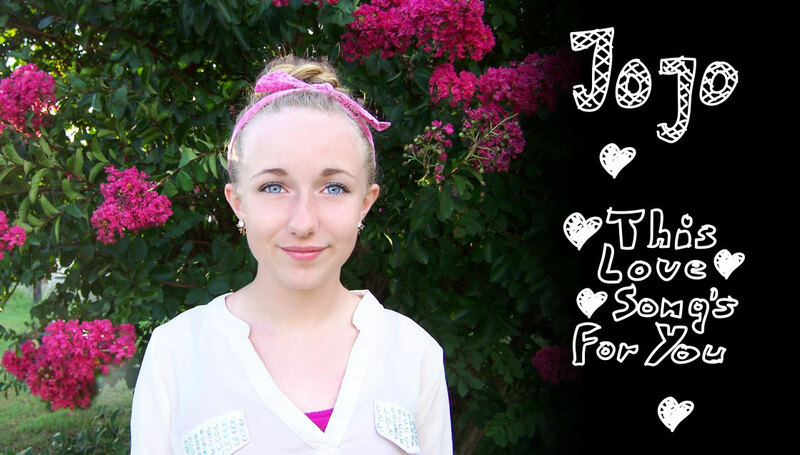 THEN…JoJo found out about 6 months ago, she had a condition called Celiac disease. To Quote JoJo – “It’s made things very difficult, but God has helped me through it all!” Through all of this, she never gave up hoping and trying to move forward with her music. This gave Debra and I even more faith in her drive to reach for her dreams. Despite her current severe health challenges, her sheer determination to succeed inspired Debra Lyn and to partner with her (and her AMAZING family) in order to finish the rest of the production and bring her music to the world! I then asked JoJo to tell the story of the song through pictures so we could do a lyric video. She did SUCH a stellar job with the storyboard and coordinating every photo, we then asked Heiko Gentsch if he would put his magic touch to creating this video, which once again, exceeded all our expectations! As of this moment, we have over 1 million listens on Soundcloud and are close to 14k views on Youtube!! To quote JoJo. “My dream is to become a famous, and even more inspirational singer to young girls (and guys), and to show others that no matter what and no matter their trials, they can achieve their dreams”. Listen, Watch and Read more about JoJo and about how anything is possible, as long as we don’t give up on ourselves and our dreams! Tim Lorsch (strings): Tim has performed and/or recorded with artists such as Kris Kristofferson, Kenny Chesney, Keith Urban, Lucinda Williams and Goose Creek Symphony. He has produced critically acclaimed records, played on thousands of recordings and has made contributions to Grammy and Emmy Award winning projects. David Flint (acoustic guitars/ukulele). David has played with Highway 101, Billy Montana and is a sought after session musician. David’s meticulous parts are the bed upon which everything else has been layered and help to set the tone for the album. Jeff Silverman (bass and keyboards): Jeff’s nearly 40 years of experience in the music industry has included working on Emmy and Grammy-nominated projects. He has also produced, mixed, mastered, co-written, edited and performed on a number of gold, platinum and award-winning projects for artists such as Rick Springfield. Jeff is co producer and co-writer of the recently released “From The Vault (A Collection of works by Rick Springfield & Jeff Silverman)”. He has also been a staff songwriter at Motown/LA and is the owner operator of Palette (MSP) and Virtual Studio Nashville (VSN). I would like to thank my parents for all of their support and love in everything I do. I would also like to thank my music mentor, Kevin McGuire for showing me everything I know. To Jeff Silverman and Debra Lyn for making this all possible, and Double A Arts for beautiful pictures. To our friends, some of whom we haven’t yet officially met, but are very supportive on Facebook and on-line, and to our family.